Lost Earth Adventures aim to take adventure travel beyond the beaten path. They specialise in running unique fun filled itineraries. As a small, personal company they pride themselves on their professionalism, leadership and attention to detail. With an in-depth knowledge and expertise on adventure travel within the UK, they can provide you with whatever sort of adventure you’re looking for. Since 1887 people have been taking to the hills and dales of Yorkshire to complete its mighty Three Peak Challenge. Over 100 years later this 24-mile endurance event is as popular as ever. Taking in Yorkshire’s three highest peaks, Pen-y-Ghent, Ingleborough and Whernside, you will cross limestone peaks, rolling dales and quaint villages with Lost Earth Adventures’ guides, coming out the other side a real adventurer! 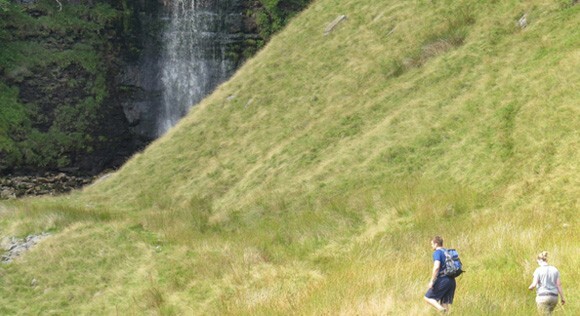 Book a guided walk of the Yorkshire Three Peaks. Lost Earth Adventures’ provide individual and group packages, so whether you’re looking to complete the National 3 Peaks in one rollercoaster 24-hour period, or looking to take a more leisurely approach, they will tailor it to your needs. Alternatively, take a peak on in its own right! The three highest mountains in the UK, Snowdon, Ben Nevis and Scafell Pike, offer a fantastic challenge for people of any ability. Lost Earth Adventures always offer a variety of different routes allowing your adventure to be as challenging as you want to make it. From thrill seekers looking to take on a ridge scramble to first-time adventurers looking for a gentler ascent to the summit, they’ve got a route for everyone; all that’s required is a little enthusiasm and a healthy dose of determination! Take on Snowdonia’s namesake. Standing at 1,085 meters above sea level, you may well feel as though you are perched upon the final resting place of the giant, Rhitta Gawr. Stroll up the tranquil Watkin Path or take on its knife-edge ridge, Crib Goch. Either way, there’ll be a mug of steaming hot chocolate and stunning vistas waiting for you at the top, at Snowdon’s unique Summit Café. Reaching 1345m above sea level, Ben Nevis offers the chance to tackle the highest mountain in the British Isles as well as taking in some stunning scenery. The backdrop to your adventure will be views over Ben Lomond, the Torridon Hills, and even Knocklayd in Northern Ireland if you’re lucky. The final spectacular panorama from the summit, extending up to 120 miles in every direction, will soon take your mind off any aching of the muscles. Set amongst the beautiful Lakeland Fells, expect a breath-taking route to the summit. Go for the shortest way up from the edge England’s deepest lake, take on a boulder field, or even have an ice bath in the Styhead Gill rock pools if you’re brave enough! From your lofty position at the top, Wastwater will be laid out in all its glory before you, hugged by the gnarly crags that make up the glaciated valley around it. An exceptional reward for your hard work! Whatever it is you’re looking to achieve, Lost Earth Adventures’ guides will show you the magic of these beautiful mountains.